Jacqueline is the founder and executive director of LIBA, based and working in Kilifi County in Kenya. She is a teacher by professional with additional training in community development and this combination has built a strong foundation on matters of education and how it can bring total transformation to the child, their families and the communities. She holds a Masters Degree in Education and International Development from the Institute of Education (IOE), University of London and a Masters in Project Planning and Management from University of Nairobi. She has 11 fulfilling years in teaching and another 13 years working in senior management with INGO. Jacque has innovated several school programs and campaigns like Learning Companion, Every Girl… Campaign, Partnership for More Joint Action (PAMOJA), on HIV/AIDs prevention and management in schools and Weekend Inclusive and School Holiday (W.I.S.H). She is the author of Walimu Kwanza! (Teachers First!) Newsletter for teachers by teachers. 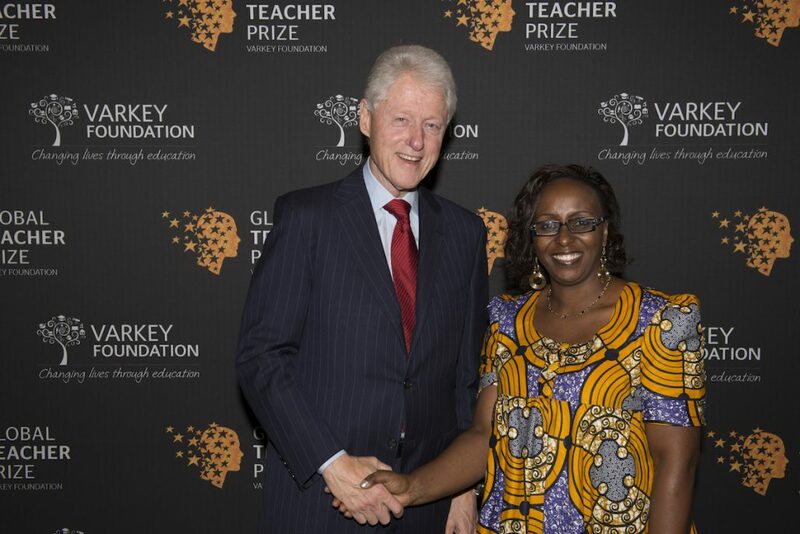 Top 10 Global Teacher Prize nominees of Varkey Foundation being the only Kenyan and African (picture above). In the same year (2015), she was recognised as the Hero of Kilifi – Shujaa wa Kilifi by H.E the Governor of Kilifi County, H.E Amason Jefwa Kingi, for her work in education with over 5000 residents of Kilifi in attendance. She serves in the County Education Board and in several school boards of management. She is working on her first book, Beyond Exams! Additionally, Jacqueline have been invited to speak in several forums in Brazil and France to discuss the role of education in poverty alleviation, particularly sharing her experiences working with children living and learning in great disadvantage. This has been one of her proud moments to speak about her work and her vision for these children in education. Please visit the following links to see her recognition.